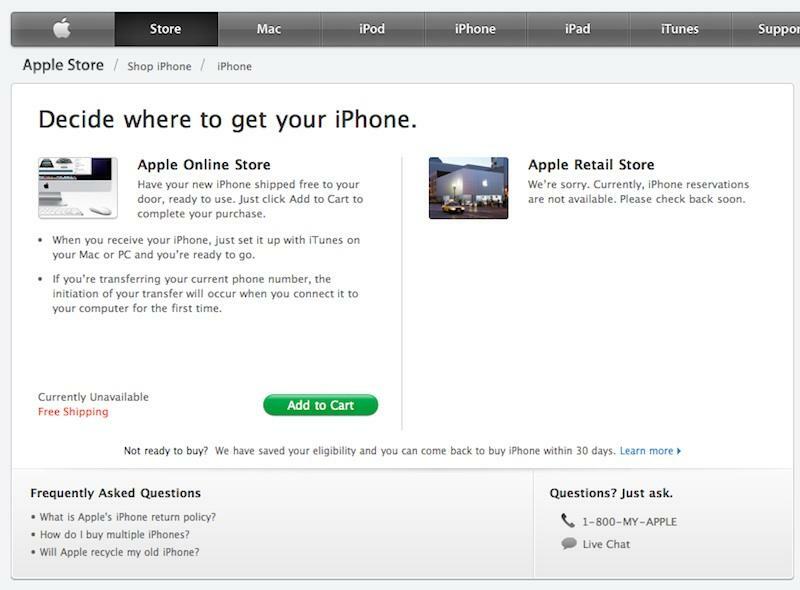 At midnight, Apple replaced its "be back soon" notice with an active online storefront offering the new iPhone 4 on both US carriers: AT&T and Verizon Wireless. Starting today, US shoppers buying iPhone 4 can now choose between AT&T and Verizon for service, with the Apple Store offering links to both carrier's plans and service maps. 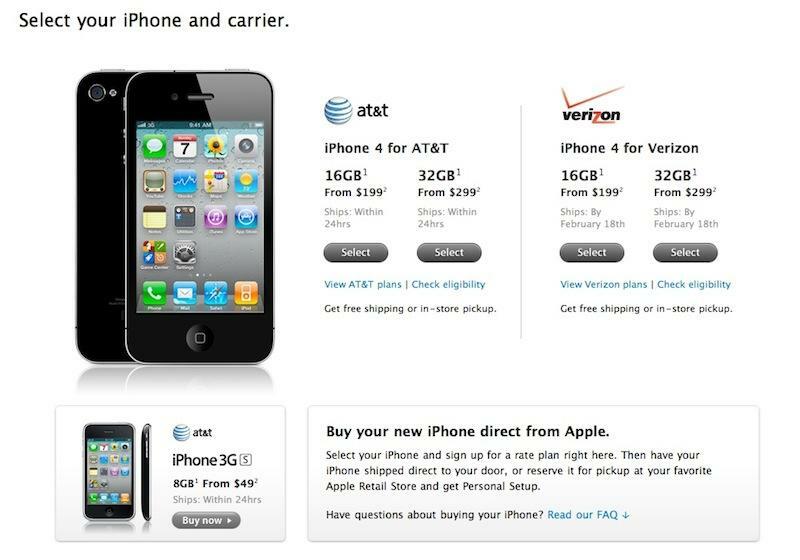 Wait times for AT&T are still listed as shipping within 24 hours, while the new Verizon iPhone 4 model is currently stating an shipping availability of February 18th for orders set to be mailed to the user. When we placed an order for the new phone, the shipping receipt stated our order would ship "by February 18th," and be delivered "within 5 business days after shipping," potentially as late as February 25. A choice to reserve a Verizon iPhone for pickup in a retail Apple Store was not listed as an available option, and the black model remained the only version currently listed for sale. Buyers who prefer to pick up their new phone will want to "check back soon." Apple offers free shipping on its online orders, while in-store pickups are stated to include free setup. Existing AT&T customers who enter their account information will have their phone number switched over to new Verizon service when they receive their new phone and connect it to iTunes to initiate setup. Users who purchase or pickup a new phone in the store will be switched over in the store. The actual switchover process may take between one to three hours, according to Apple's site.